Your Coconut Creek Car Accident Attorney, Robert Gluck from the Law Offices of Robert E. Gluck, P.A., has extensive experience handling cases just like yours. He has been a lawyer since 1989 and has the knowledge to provide you with legal representation for your car accident claim where you sustained physical injuries. In order for Coconut Creek Car Accident Attorney Robert Gluck to build a solid case for you, he first needs to prove negligence. Negligence exists when someone has not met the legal standard of care in order to reasonably protect another person from injury. If negligence is proven, Robert Gluck will be able to proceed with your case. Any exceptional Coconut Creek Car Accident Attorney knows it's important to launch a full investigation into someone's claim. 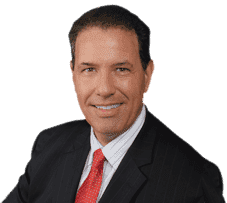 Robert Gluck will find and speak with witnesses to the accident, take pictures of the accident scene, assess any damages, secure video surveillance, and locate any other evidence he thinks will be helpful in obtaining compensation for you. Your Coconut Creek Car Accident Attorney, Robert Gluck from the Law Offices of Robert E. Gluck, P.A., will make it his personal mission to get you the maximum compensation you deserve. He is passionate about the practice of law and believes victims of car accidents should be financially compensated for their injuries.